I like to try new foods to avoid boring menus at our house. Lately, we’ve been going meatless more than 1 meal a week. In fact, we’ve kept a steady diet of plant proteins for 21 days. 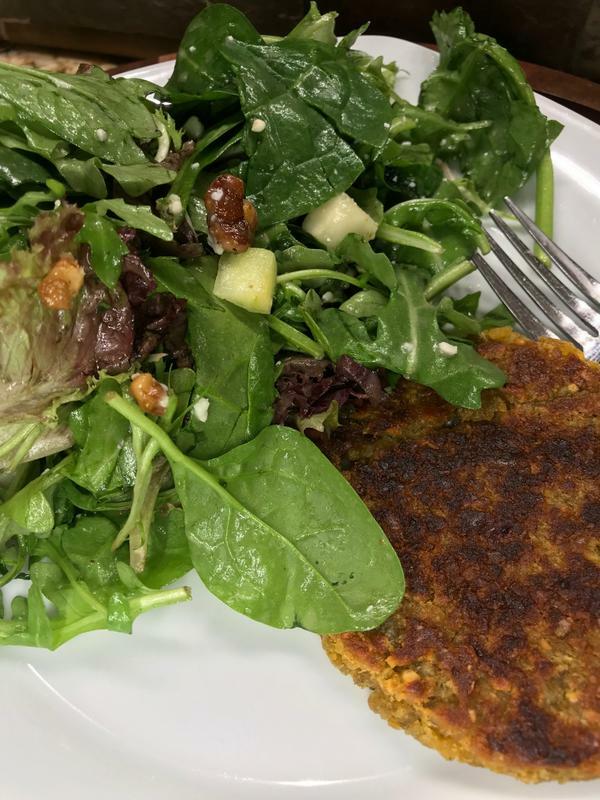 I dreaded it at first, but needed to develop plant protein options for busy clients for whom I had challenged to “go meatless” 3 to 4 times a week as part of their weight-loss goals. But, it can be time consuming to include high-quality plant protein options made of nuts, seeds, or beans from scratch. Then one day, I discovered that I didn’t have to spend the time endlessly chopping and food processing. Thank you Lordt! Cruising through the frozen food section, I found Cora Lee’s Nut Burgers and Nut Tacos! Eureka! 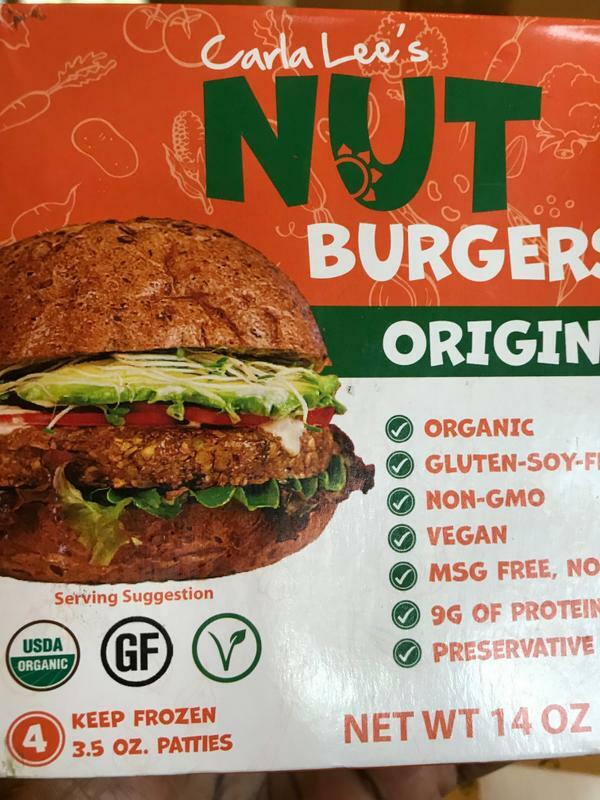 The burgers (made of brown rice, cashews, and sunflower seeds) provide 9 grams of protein per burger and deliver a savory nutty, slightly meaty flavor that promises to satisfy even the staunchest carnivore. Translation? You want to try these! I added a salad of mixed greens, chopped apple, pecans, and raspberry vinaigrette dressing and this is how it turned out. Note: If you’re doing phase 3 of the Final 15 Plan, you can add 1 cup of brown rice or go crazy and add 1 cup of red quinoa mixed with brown rice (made ahead and frozen in batches) or pop a 1-cup portion of Minute Red Quinoa & Brown Rice in the microwave for 1 minute to save even more time.